Aharon Ariel Lavi is co-founder of the Shuva community on the Gaza border, where he lives, and of the National Council of Mission-Driven Communities. A regular contributor to Aderaba magazine, he has also published a book on Jewish economic thought and was a 2013-14 Tikvah fellow in New York. Could the Haredi System Melt Down? The old haredi model is unsustainable, but the haredim are, and should be, here to stay; here’s why and how. 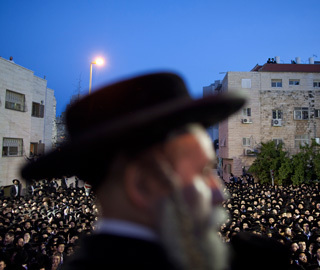 Are the Ultra-Orthodox the Key to Israel's Future? How a misunderstood minority can help spur the Jewish state’s economy and repair its tattered social fabric.